Fast weight loss, no calorie counting and no hassle. This sounds like every dieters heaven and a dream come true. This is also what most liquid diets profess to offer, but is it too good to be true? A liquid diet is more or less what it says on the box; a dietary pattern which consists mainly of fluids (liquids). There are a number of different ways and patterns in which liquids diets can be followed, depending on who has devised the dietary plans. Some liquid diets suggest replacing all meals with a liquid of some sort and some which replace only some of the daily meals and suggest a low calorie solid meal for the rest. The liquid meals tend to be shakes, or soups, juices, smoothies or just a dietary liquid formula. For some commercial liquid diets you can purchase their pre-prepared shakes, soups or dietary formulas and often they may also provide some snack bars and other nutritional supplements. There are also the do it yourself liquid diets in which dieters can make their own liquid meals, juices, shakes and etc. Apart from the commercial form of liquid diets there are also ‘hospital’ or ‘medical’ liquid diets and are usually prescribed before a medical procedure, because the patient may be unable to swallow solid food, as a supplement to the existing diet or in general for a specific medical reason. Medically prescribed liquid diets vary in their constitution and could be of clear liquids (water, gelatine, broth) or of a specific formula. Well the weight loss principles are pretty much simple and more or less the same for most of them. By eating the recommended liquid meals people consume a low amount of calories through the day. Therefore, they lose weight. 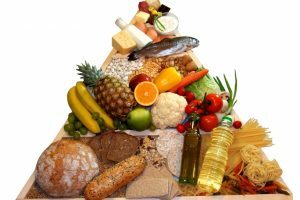 Some of the diets do include a miracle or a super food element to them and a number of them also profess on the detox element of following a liquid diet. Studies haven’t yet provided strong scientific evidence regarding the existence of a super food so I cannot positively and with no doubt say that it is the magic powers of cabbage which will make you lose weight if you follow the cabbage diet for example. Another common claim of the liquid diets is detoxing; the body goes through a detox process by following liquid diets. Based on the detox claim diet loss is either enhanced by effect or is a pleasant secondary effect of detoxing. However, there is not strong scientific evidence regarding the detoxing effects of diets either. As a matter of fact there is no evidence to actually support a ‘detoxing’ process takes place at all, apart from the one which your liver does all the time. So what is proven? Most liquid commercial diets tend to consist of 400-800 kcal dietary plans. 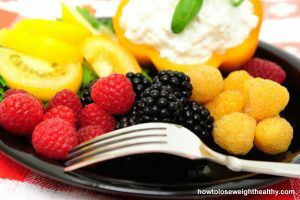 These diets tend to belong in the category of very low calorie diets (VLCD) which create a calorie deficit and in principle lead to weight loss. If you follow a VLCD for prolonged time you will lose weight but so you will with starvation which in some cases may be cheaper. However, starvation is not recommended as a safe, healthy or wise way for weight loss and I would most definitely not recommend it. Studies which have tested some of the commercial liquid diets have produced controversial results. In simple words there is not much agreement whether they work in promoting weight loss and whether the weight is maintained post diet. For some cases of morbidly obese people a VLCD may be recommended as the best solution. However, such cases the risks of following a VLCD outweigh the risks of obesity. Moreover, they should always be followed under the guidance of a medical professional as they can have detrimental effects to health. As with most controversial diets there are a number of issues related to liquid diets. Here are some of them. Potential of misuse: As already mentioned liquid diets are usually recommended to be followed for a limited amount of time. However, guidelines and recommendations can often be ignored and people can follow them for longer periods. Well recommendations are there for a safety reason and when ignored the results do come with a potential risk and a number of health problems. Inadequate nutrient intake: Formulas sold as part of a liquid dietary pattern have improved a lot since they first come out. However, still there is a debate about the limited amount of nutrients they may contain. 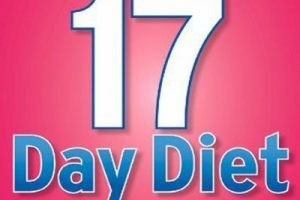 The lack of nutrients may be more prominent in DIY versions which tend to be based on just one food or one group of foods or if a diet is followed for prolonged periods. 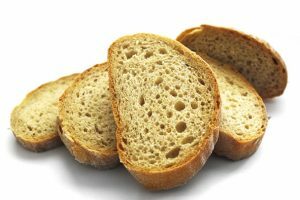 Inadequate fibre intake: Fibre can be an important element for digestive processes, health and weight loss. Quality is as important as quantity, and a number of liquid diets may not provide either of them. Constipation / Gastrointestinal complaints/complications / Nausea: Constipation can be a side effect due to inadequate fibre intake. But also your digestive processes may be suffering a little bit, thus gastrointestinal complaints can be common. Hair loss: Think nutrient deficiency. Our body needs all nutrients including fat and there is a reason for it. Dizziness: Very low calorie intake can be one of the reasons why people may experience dizziness. You may think you have enough energy stored for the whole neighbourhood however your body doesn’t like sadden changes and it does take time to adjust. Losing a lot of weight too fast is something else which may lead to health complaints. 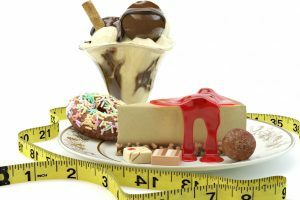 Regaining the weight past dieting: If the weight lost is mainly water and sugar then you are most likely to put it straight back on. On the other hand is a common diet issues. If you follow a diet for ‘x’ amount of time and you lose ‘y’ amount of weight and you go back to what you where eating before the diet you are likely to be back t where you started. Moreover, if you follow a VLCD for a period of time your body will try to adjust to that diet. The minute to stop liquid dieting and go back to solid food and higher calories here will come the weight. Metabolism slowing down: Look above. You go to a VLCD your metabolism will slow down on a bid to survive. These mechanisms are there for a reason; if you were in nature and there was no food you would need to survive as long as possible. So you could be potentially struggling to lose the weight. In some cases a VLCD may be the only option to kick start a weight loss and research may have shown favourable results for morbidly obese cases. However, this is usually done under the guidance of a medical professional and when the risks of obesity outweigh the risks of dieting, or when some metabolic processes have ‘lost their way’ to put it in very simply words. No behavioural modification: Following a box standard liquid doesn’t quite teach people how to eat or makes a lot of changes in the eating behaviour. The extra weight got there in some way and part of it is because of specific eating behaviours. Changing these behaviours is what will help to deal with the future and maintaining the weight loss. Indeed a lot of liquid diets may have improved a lot in recent years. However, some are still in the category of ‘fad’ dieting which most of the time is not recommended. For some people it may be that little help to push them into weight loss or may kick start the processes, but for most it may not be a recommended solution. Not all liquid diets are the same and therefore quality of the diets is different between them. Make sure you consult a medical professional, and search for real scientific evidence. 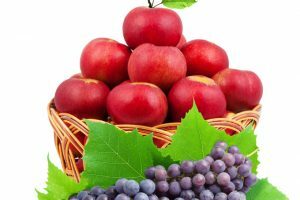 Overall, apart from some specific cases you may be better off sticking to the old fashion healthy balanced diet.